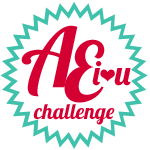 Well, once again, you all have done an AH-MAZING job at interpreting the last AEI U Challenge! And we once again had a really hard time deciding who to choose as the winner. But we pushed through and came up with a very clear and deserving winner! Check it out! Isn’t it awsome?!! Seriously, Piali interpreted the color combo beautifully, don’t you think? We it! Congratulations, Piali! I’ll be emailing you with instructions on how to receive your prize! So what do you think? Pretty awesome winners, right?! Thank you to all who played along with the last AEI U Challenge! We love seeing your beautiful work, so we hope you’ll play along with the next challenge, which goes live tomorrow! Until then, thanks so much for stopping by! Congrats to the winners! These cards are absolutely AWESOME! WOOHOO!! Thank you soooooooooooooooo much!!! I just can't believe it!! !